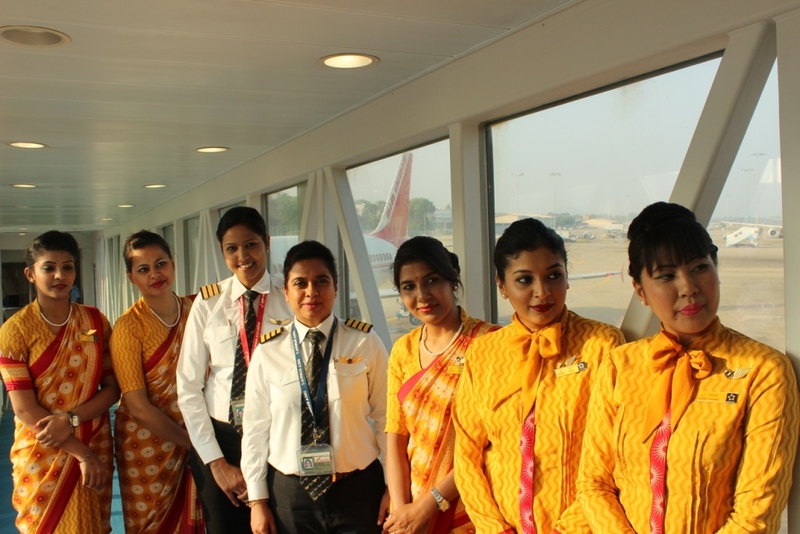 To mark the occasion of International Women’s Day, Air India, the iconic airline of India operated an ALL WOMEN CREW flight to Sri Lanka today Thursday, 8 March from Chennai to Colombo and then from Colombo to New Delhi. 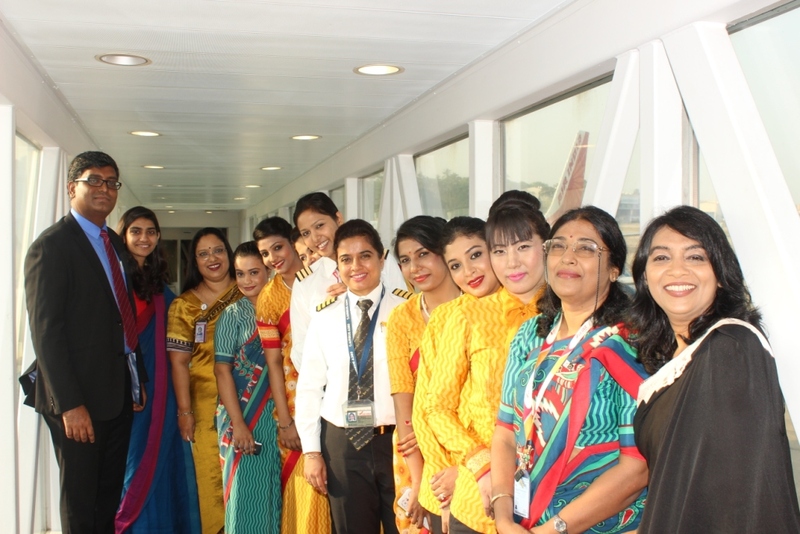 The flight was piloted by Capt V Roopa and Capt Nimisha Goel and accompanied by cabin crew Ria, Zena, Ritika, Tianaro and Haritha. 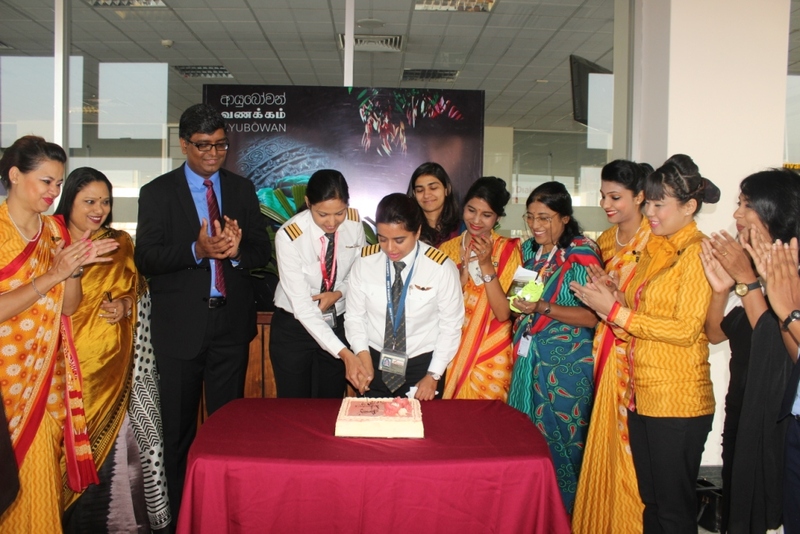 Mr L Ramesh Babu and Ms Neha Singh from The High Commission of India welcomed the crew members at a ceremony held at Colombo Airport. 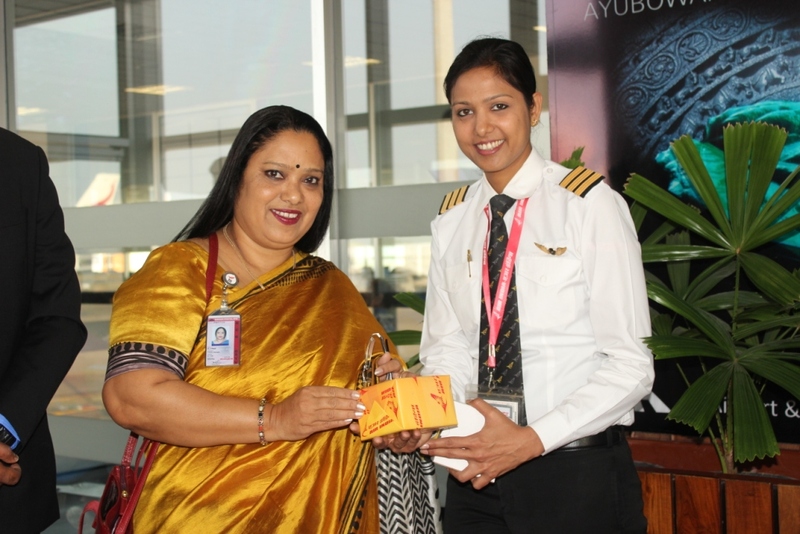 They appreciated the initiative of Air India. This is a unique gesture in South Asia involving Sri Lanka. 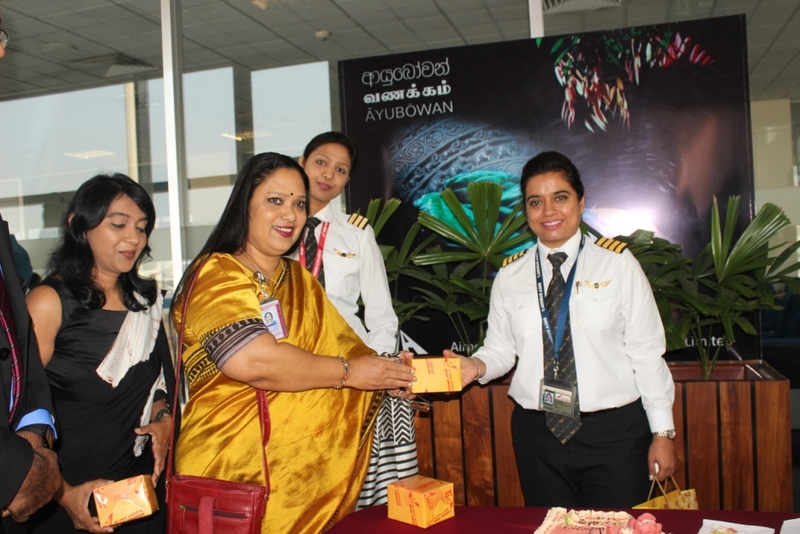 Air India at Srilanka represented by women, in all key positions – Mrs Alice Joe Paul, Country Manager for Sri Lanka, Mrs Madhumita Gupta, Airport Manager and Mrs Thanuja Lankathilaka, the GM of Indusky Aviation, the Passenger GSA for Air India at Sri Lanka. Operated the first round-the-world trip entirely staffed by women in 2017. The aircraft B 777 flew from Delhi to San Francisco on the Pacific route and then San Francisco to Delhi on the Atlantic route. 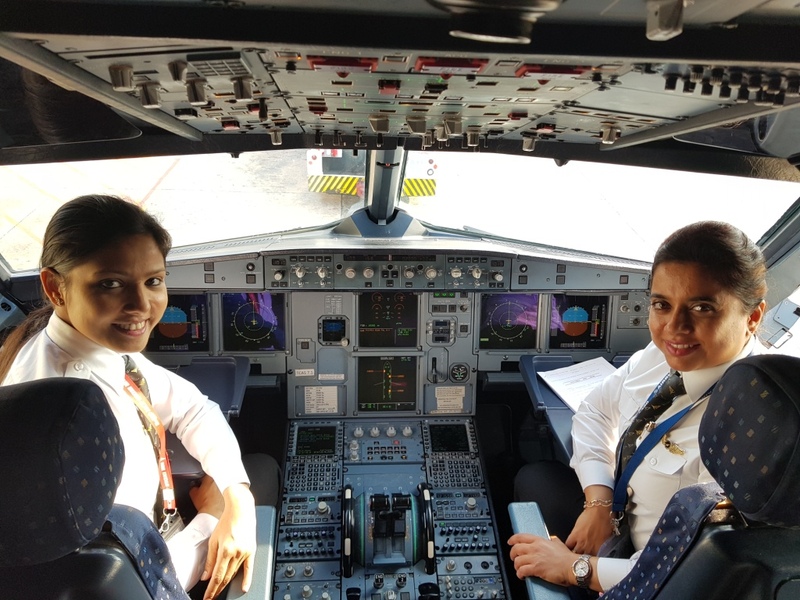 In 1990 Ms. Nivedita Bhashan became the youngest women pilot in the world of civil aviation history to command a commercial Jet Aircraft at the age of 26. Capt Durba Banerjee , the first Indian Woman , Commercial pilot also flew for the National carrier from way back in 1956. 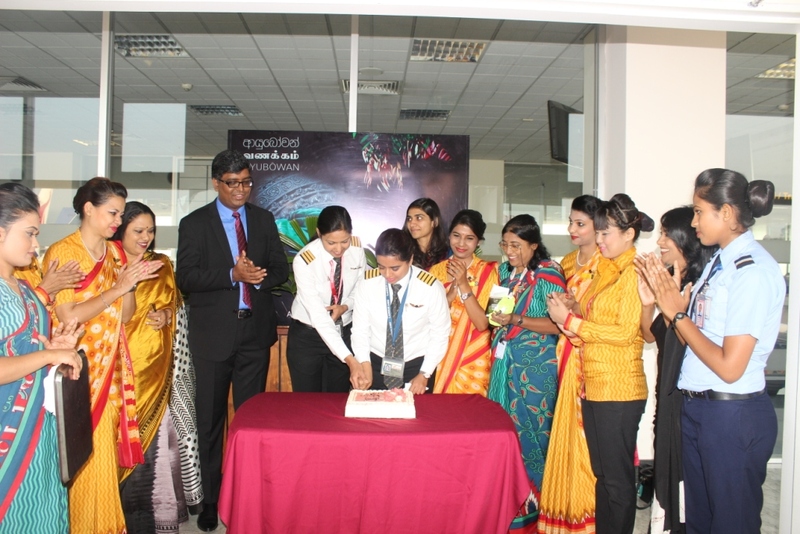 We also had Capt Saudamini Deshnukh the Lady Pilot and Commander of Boeing and Airbus Fleet flying for Air India.